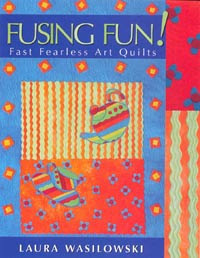 In reading my Fusing Fun book from Laura Wasilowski the other day, Laura says to wash all your fabrics first so the fusible web would stick better. I don't want tooo..... (said in a whiny voice.. feet stamping). I guess she says this for a reason. Fine, so I'll do it! Well Ok, I did have a few things that didn't want to stick very well. So guess what I did all day yesterday! Yeah, it was wash day. This is only half the pile. The other half is by the ironing board. But one nice thing about spending a day ironing is that you fall in love with your fabrics all over again. This gem was folded up and I haven't really looked at it in quite a while. I found all kinds of great combinations of colors ranging from bright green to dark purple. I'll be using this for sure! I'm still working on it today. 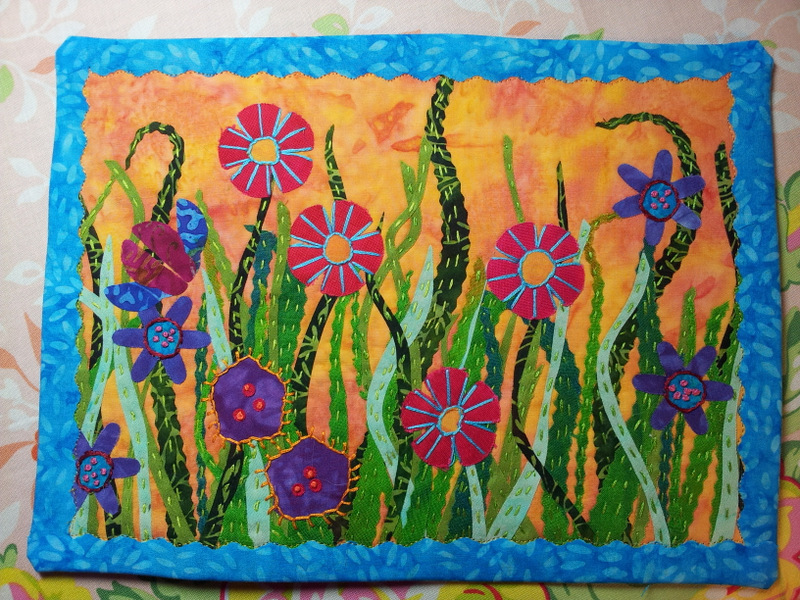 But along with all the ironing I did finish one of my quilts. This was my first attempt at the "Laura Wasilowski" style. I still need to work on it a bit. Next time I'll leave more room around the edges so my main picture doesn't get covered up by the border. I'm thinking about donating this to the Alzheimer's Art Quilt Initiative. You can click my link and check it out. You can support them by either putting in a bid for a quilt or buying one outright. All money goes to Alzheimer's research. Well as you can tell by my main blog picture this is right up my alley. Lilly Pad Quilting is having a pets on quilts contest and well, I have a few entries. Click on the link above to see all the entries. I'm number 57. So when voting starts... vote for one of my furries. Lots of prizes... I hope I win something. Big thank you to all the sponsors. Enjoy! First up is Sammie. This is my favorite picture of her. Sammie's favorite sleeping spot. Mind you this was a big basket. This is Moe Moe the Terrible. Bane of all tiny creatures. This is Punkin and Moe Moe. 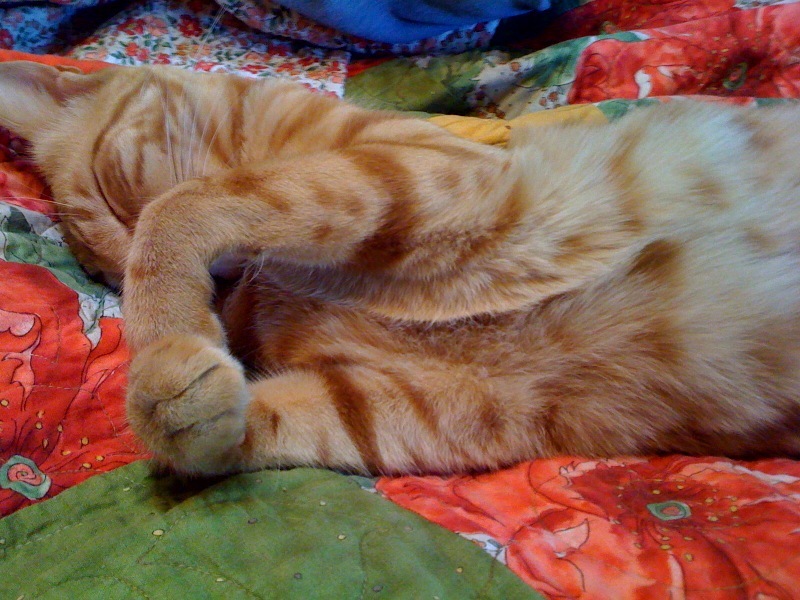 Punkin isn't with us anymore. But she did know a comfy sleeping quilt when she saw one. This is Alex. My sewing room star. "Awww, the smell of new fabric"
Alex taking a power nap. Being curious takes a lot of a kittie. This is a group shot of nap time on my bed. Twinkle, Alex and last is Sammie. Ok well, that's it. Hope you enjoyed them. Trust me I have soo many more. But this are a few of my favs.. Boy did I have fun today. 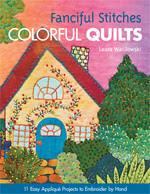 One of my favorite quilt artists is Laura Wasilowski. I was fortunate enough to meet her and see her quilts in person when I was hosting the TQS Treasure Chest on The Quilt Show with Alex Anderson and Ricky Tims. I have one of her books and decided it was time to give it a go. 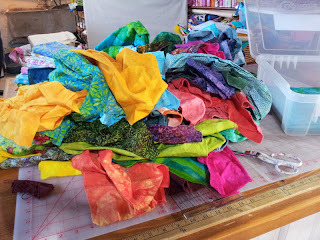 First I pulled out all my batiks and hand dyed fabrics. This is the mad scientist coming out. I got carried away. 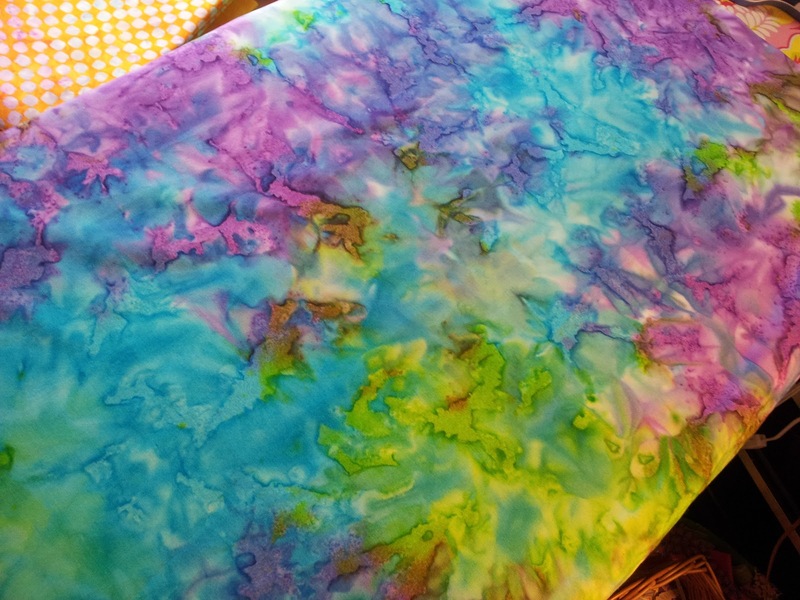 I of course also used my Accuquilt studio cutter for the oak leaves, flowers and little bugs. You'll see. I started out with little strips of fabric with fusible web on the back. Then I began to weave them into a long strip. When I was done, this is what I had. OK, so this was fun, what do I do with it? .... I got an idea. 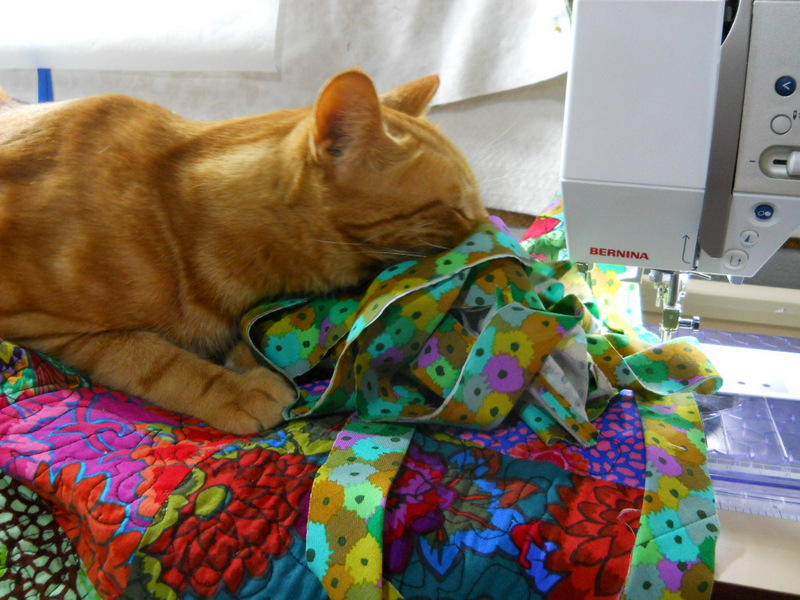 For the few of you that read my blog www.bunnyrose.com you know I'm in love with my Accuquilt studio cutter. So I went to my dies and found this. You have to go to the Accucut site instead of the Accuquilt site to find this one. It's not cheap but I have used it in soooo many things. Anyway, this is what my weaving looked like after I cut it out. Here is my almost finished project. I fused it to some batting and now time for some hand stitching. Here are two other projects I am working on. This one I already started stitching on it. If you love this as much as I do.... here are the books and link to her site. Here is her new book..